If there’s anyone who can challenge U.S. meddling in Venezuela, it’s Dan Kovalik. Dan has spent the last 20 years opposing U.S. wars abroad, from Iraq to Afghanistan to Syria, and now the coup in Venezuela. A lawyer, writer, professor, and activist, Dan has embodied the spirit of resistance to imperialism in the U.S. 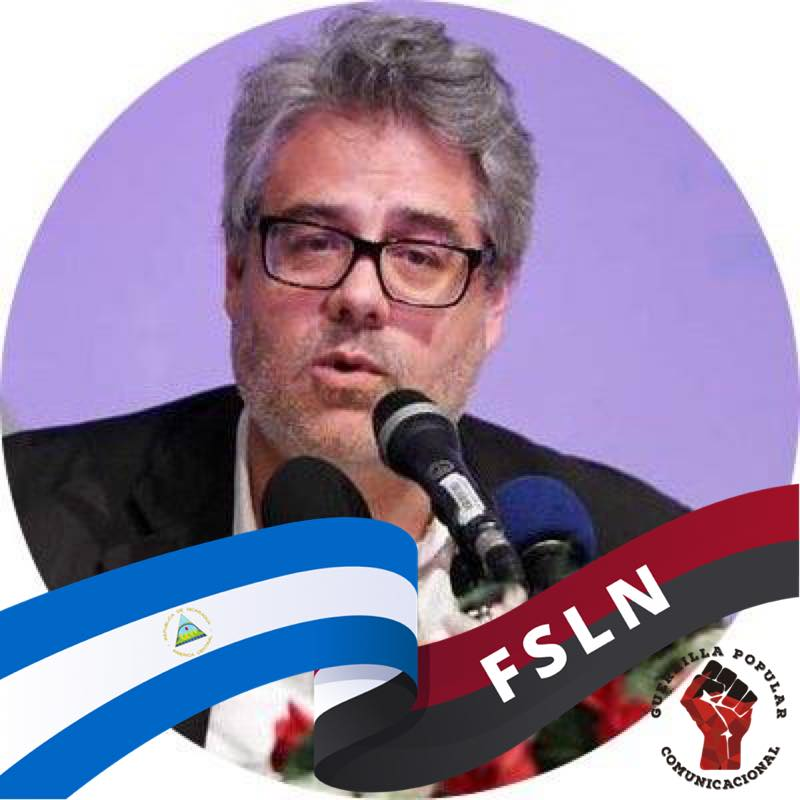 He is a friend of the Bolivarian revolution in Venezuela, and has practiced solidarity with those fighting for a better world in Nicaragua, El Salvador, Cuba, and other parts of Latin America. On Monday, February 18, Dan will share his accumulated knowledge of how U.S. militarism operates abroad, and how we can co-operate in resisting interventions. At a time when more and more people are standing up to the shocking U.S./Canadian attempt to unseat democracy in Venezuela, Dan can offer much-needed guidance on what it is we are up against. 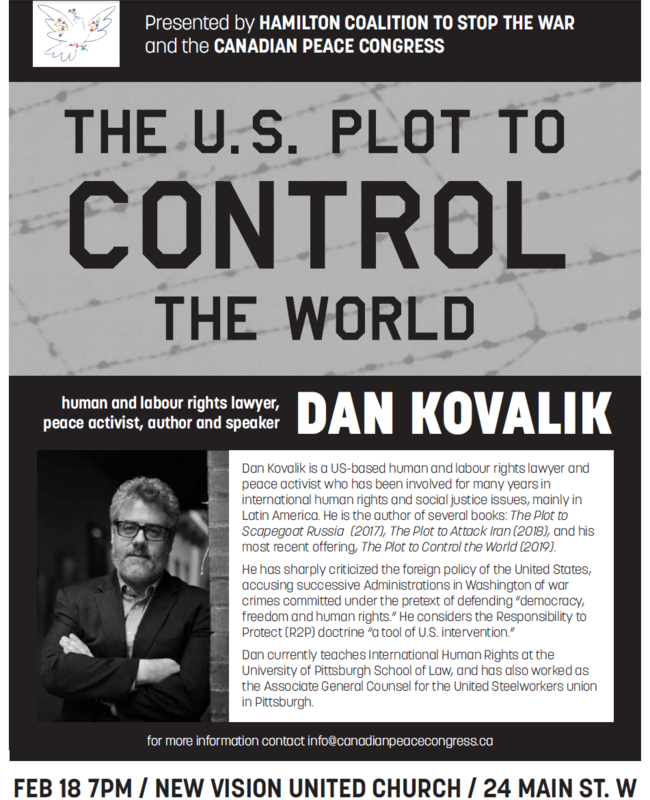 Poster for Dan Kovalik event. New Vision United Church, (L8P 1H2), is located across the street from Hamilton City Hall, where there is ample paid parking. The wheelchair-accessible church is also adjacent to the MacNab Street Transit Terminal.